Lots of people would like to do it, but just a few dare to try. Are you from those who want or from those who dare? Give yourself a chance, get over your fears and dive into one beautiful world in the company of your beloved one. Diving with guaranteed safety and in nice company. A professional instructor, trained in the National Association of the Underwater Instructors in USA - NAUI and an underwater photographer will be with you during the whole time and will take care of you having great time underwater. "Let your underwater adventure start now!!!" 1. Prepaid voucher for diving for two. 2. 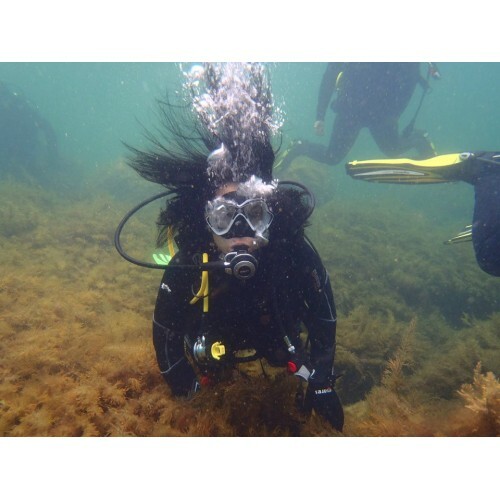 Professional instructor, trained in the association with the best education and instructors with the highest competency level - National Association of the Underwater Instructors – NAUI"
The divings are performed by "Marina" Diving club, Kiten. Important: In order to dive, you need to be in good physical and psychological health and not to suffer from phobias. For more information please call us at +359 888977117.